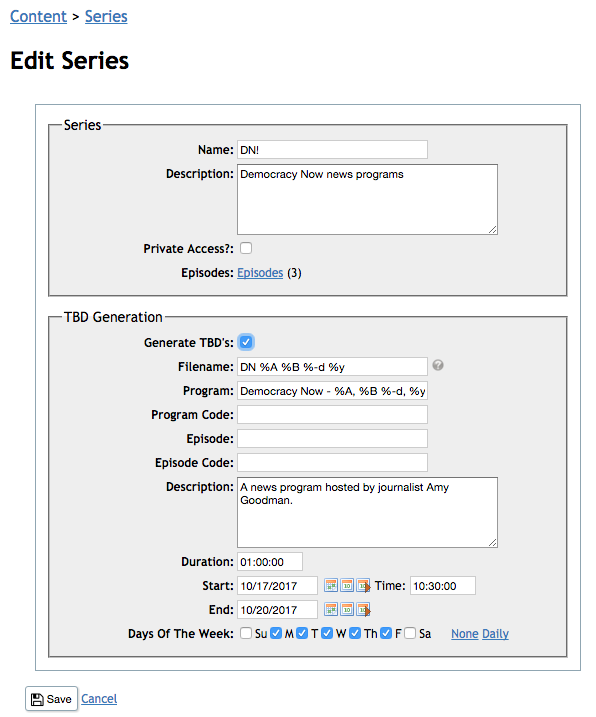 creating a Series of TBD’s for scheduling at your convenience. From the pulldown options on the right, choose to License the Series. You will be asked to Agree to the licensing terms. After you license the Series, whenever DN! 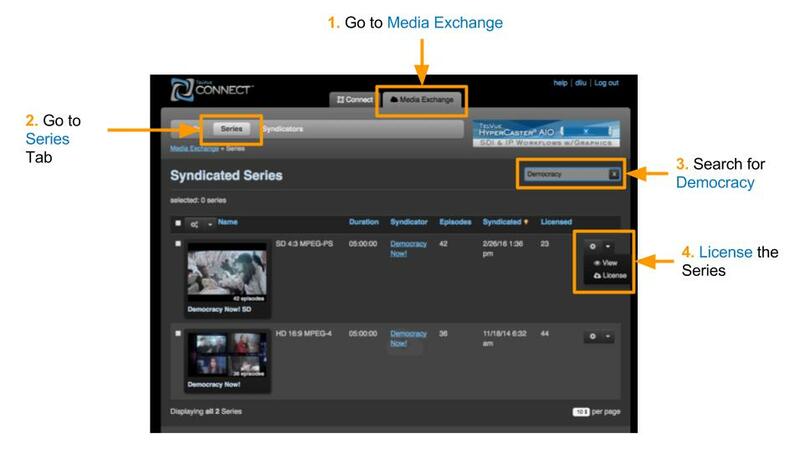 adds an episode, that video will automatically show up in your organization’s TelVue Connect Media Library. Note: you cannot use certain characters like !!! or commas in the filename field. When the HyperCaster imports from Connect, it will strip these characters out of the filename. Leave them out of the filename field. You can optionally use those variables – and put the troublesome characters back in – in the Program Name field, e.g. Democracy Now - %A, %B %-d, %y, which will display in the Program Guide as “Democracy Now – Monday, October 16, 2017”. Duration: 01:00:00 for a one-hour show. Start: Choose the date when you want this Series of TBD’s to begin. The Time field indicates the time when you expect the content to be ingested every day. Democracy Now is usually uploaded to the Media Exchange by 10am on weekdays. We recommend, to be on the safe side, that you schedule it for playout after 2pm. Days of the Week: DN! airs only on weekdays. 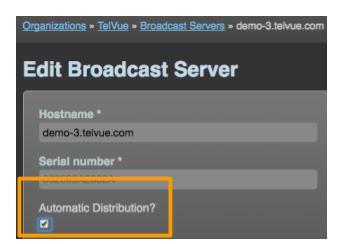 Now when Democracy Now adds an episode to the Media Exchange, it will auto-download to your TelVue Connect Library, auto-distribute to your HyperCaster, and auto-attach to your TBD placeholder.